Hello guys, Multithreading is one of the biggest strength of Java, which allows you to divide a task and execute faster by using more than one threads. In order to use multiple threads in Java, you need to first define the task which will be executed by those threads. In order to create those task, you can either use Runnable or Callable interface. If you are just learning Java chose the Runnable interface, it's simpler one, but if you are familiar with Java multithreading and want to leverage additional features offered by Callable like it can throw an exception and it can also return value, then go ahead and use the Callable interface. Once you have task ready, you need to create an instance of the Thread class. You can create as many instances as you want, Java will allow that, but you should be aware of your resources. 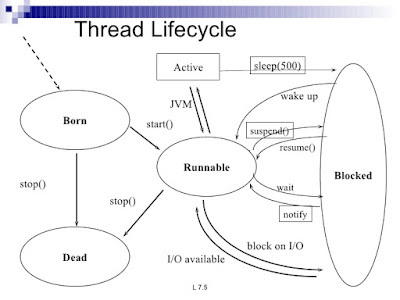 Generally, you shouldn't create too many Thread instances in Java because both JVM and Operating system has a limit on how many threads you can create in Java. Crossing that limit will result in an error like java.lang.OutOfmemoryError: could not create a native thread, which is rate but quite possible in a highly multi-threaded environment like a web server. Btw, for the purpose of this tutorial and example, creating just three threads are enough. Let's assume we create threads T1, T2, and T3. While creating we pass them an instance of your Task class, which extends Runnable. Always remember, you cannot pass an instance of an arbitrary class, you must pass either Callable or Runnable. Any code which is written in the run() or call() will then be executed by the thread you passed your task to. The key thing to note is that the thread which passes the code is different than the thread which executes the code. This is where multiple threads come into the picture. You might already know that just creating an instance of java.lang.Thread class doesn't start a new thread, you need to start each thread manually by calling the start() method of Thread class. This method first creates a thread and then call the run() method of Runnable task you have passed to this new thread. If you directly call run() method then the code will be executed in the same thread on which you called run() method, multi-threading or concurrency will not be achieved, as I have explained previously on my article difference between start and run method of thread in Java. This is also one of the common multi-threading mistakes many Java developers make. As Brian Goetz has right put that creating a concurrent application is never easy despite the best effort of library, frameworks, and Java programming language itself. As I said, you further join a Java multithreading course like Java Fundamentals - Concurrency with Multithreading on Pluaralsight to learn more about Threads in Java. 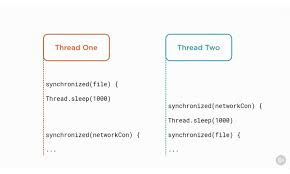 It also covers advanced multi-threading concepts like thread pools and how to use concurrency utilities like CountDownLatch, CyclicBarrier or Phaser in Java application. Here is a Java Program to demonstrate how to use thread by first creating an instance of java.lang.Thread class and later by calling the start method. * Simple Java program to demonstrate how to use multiple threads. * you want to run in separate thread. * passing an instance of Runnable you just created. * method, this will execute the code in separate thread. Once a Thread finishes the last line of code inside run() method, or it came out of run() method by using return statement or it came out of run() due to an exception is thrown, the thread is finished. As you might already know that you can not reuse this thread again. Calling the start() method on such thread will result in IllegalThreadStateException. Also, when you start multiple threads at the same time in Java, there is no guarantee that which thread will start execution first. It is possible that T3 starts processing before T1 even when you call start() method on T1 first. This is the job of Thread scheduler. That's all about how to use multiple threads in Java. As I said, there are many ways but this is the simplest way to use more than one threads in your Java program. Once you learn basics, you can explore more advanced topics like thread-pool which is a more standard and sophisticated way to leverage multiple threads for processing data in Java program. If you want to learn more here are some useful resources to learn multi-threading in Java in depth.